Today’s global construction industry is greatly influenced by sustainable building techniques as well as developing safer buildings. 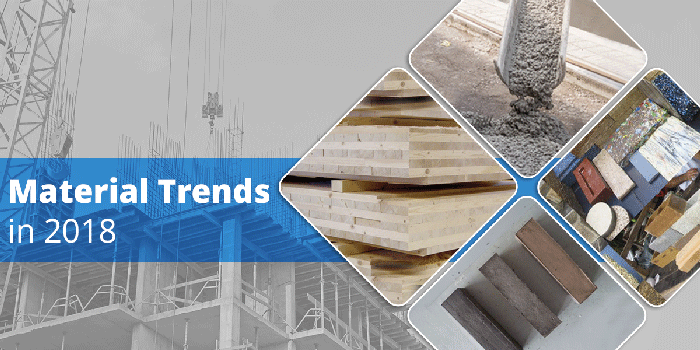 More and more, builders are adopting these new materials and techniques for construction. And now, with increasing materials costs the time has never been better for all the new, innovative building materials being developed that focus on using sustainable and renewable materials, as well as reducing the energy to produce them. Everywhere we look, concrete is visible. Almost every building uses it, as do roads and even our homes. Yet, what most people don’t realize is producing concrete is responsible for at least 5% of global CO2 emissions. Now, Scientists at the Multiscale Materials Laboratory at Rice University have discovered a process to improve the manufacturing process of concrete. The researchers have developed a way to “program’ the particles of cement, an ingredient in concrete, into shapes that makes them stronger. This also creates concrete particles that are less porous and more water and chemical resistant, which not only prevents damage due to chemical and water absorption, but is less harmful to the environment. Because this new concrete is much stronger, it lasts longer. This means less concrete is needed to make more durable buildings. In addition to programmable cement, other new types of concrete developed in recent years include bendable, fire-resistant concrete, and self-healing concrete, which uses bacteria to heal cracks. Currently, there is a lot of buzz around the use of mass timber, and now hardwood cross-laminated timber (CLT) is beginning to steal some of the limelight. Mass timber is being used more and more because it’s a renewable, carbon removing source that environmentally outperforms concrete and steel. The CLT used in these buildings is engineered by adhering pieces of timber layered on top of each other in opposite directions producing sheets that are strong, stable and rigid. While softwood CLTs had previous been used in mass timber projects, hardwood CLT has recently been developed with North American tulipwood that is much stronger, in fact it is purported to be stronger than concrete by weight. Hardwood CLT buildings are safe in a fire (it has an “inherent fire-resistance due to its massive cross-section,” per Christian Dagenais, Eng. M.Sc. Mom always told you to eat your fruit and veggies, but did she ever tell you to build with them? A new report from engineering firm ARUP advocates turning organic waste into construction materials. And, with the rising costs of current building materials, it’s hard to argue against and is worth exploring an option that is also good for the Earth. Another step towards a more sustainable future of building is wool bricks. Researchers began investigating the need for a greener option to traditional bricks because they are kiln-fired to increase their strength. However, kiln-firing traditional bricks creates greenhouse gases and airborne toxins. Wool bricks, developed by researchers from Spain and Scotland, are made by adding wool and a natural polymer found in seaweed to the clay of the brick. This makes the brick stronger than other bricks and more resistant to cold climates. And, because they dry hard, they reduce the gases produced by kiln-firing as well as the energy needed to fire them. With a more sustainable alternative to bricks and concrete blocks, wool bricks look to eventually replace the 9 billion traditional bricks that are manufactured each year. As companies begin to gain comfort with the new materials, they are also employing more tech products on the jobsite. Construction management solutions such as SKYSITE not only improve productivity and communications, but they have environmental savings, such as reducing paper use, too. While we are intrigued by the possibilities of all of these materials, and, as they continue to develop, they will only inspire others to search for sustainable and renewable sources for building materials.